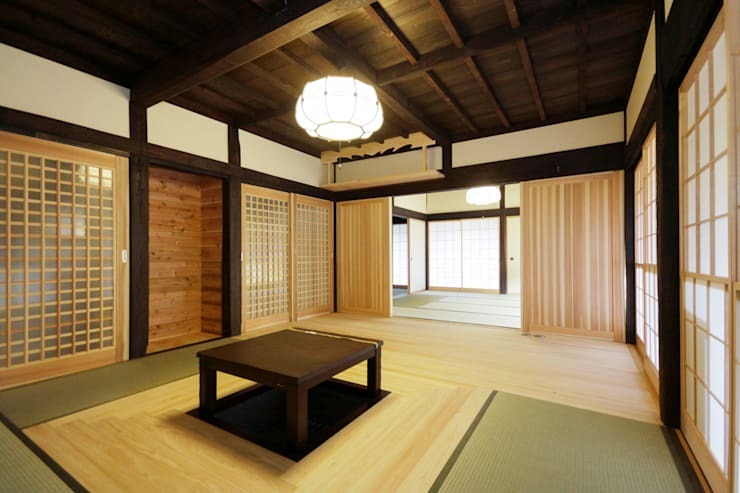 While traditional Japanese styles are all about tatami rooms furnished with cushions and low tables, this house in Japan incorporates touches for the modern family. The outstanding blend of native and minimal styles featured in this home ensure cultural continuity, comfort, and a touch of modernness—all at their very best. Simplicity is one of the main elements that make this home design fiercely stand out. Here’s a tour inside this Japanese masterpiece! The frame of this Japanese house is made from wooden columns supporting its weight. The house is built on top of a flat foundation of earth and stones. The large roof mirrors the height of the home. 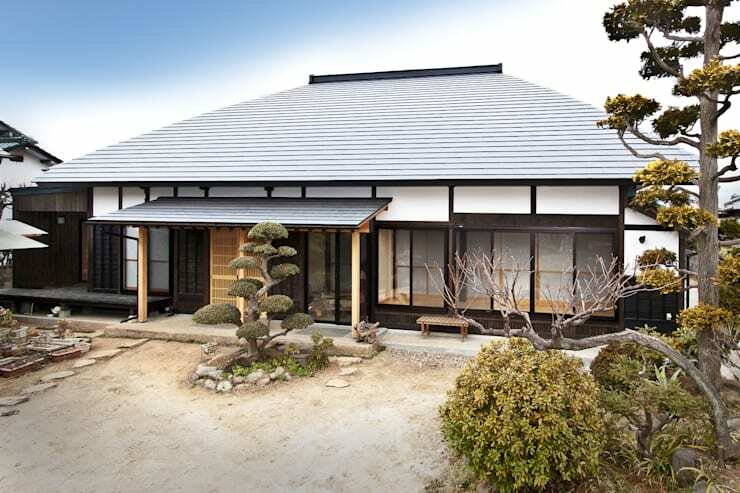 The sloped roof is covered with tiles of kawara, allowing rainwater to flow off easily. The slightly curved eaves extend beyond the walls to protect the house from the hot summer sun and natural conditions, supported by complex bracket systems. The garden is an important element in welcoming guests and preparing them for the experience of a tea ceremony. The living room where the family dines together, is the center of their lives at home. The cabinet (chadansu) is used to hold the implements of dining. The beautiful wooden kotatsu is situated in a key position as a focal point in the room. Window treatments are used as both functional and decorative. They provide protection from drafts, allowing in natural light during the day. The interior design is characterized by its simplicity, comfort and modernness. 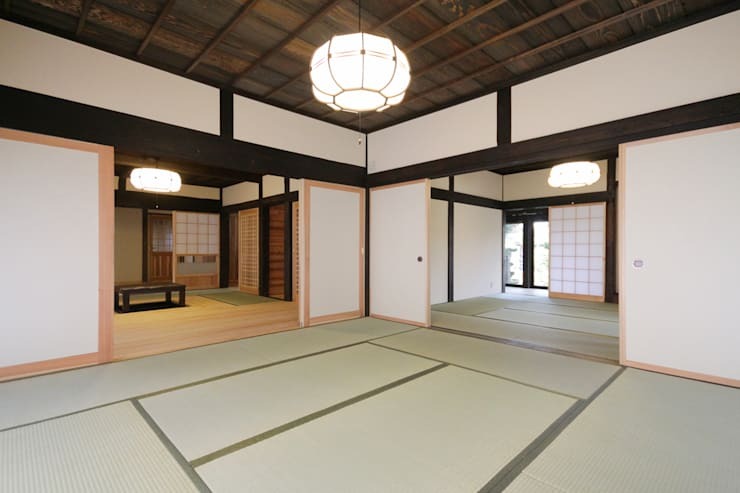 A common feature of Japanese-style houses is the presence of many sliding doors to divide rooms. The choice of material is mainly wood for most structures. Other materials used in frames such as planks, straw, tree bark, paper are used for partition between spacious areas. 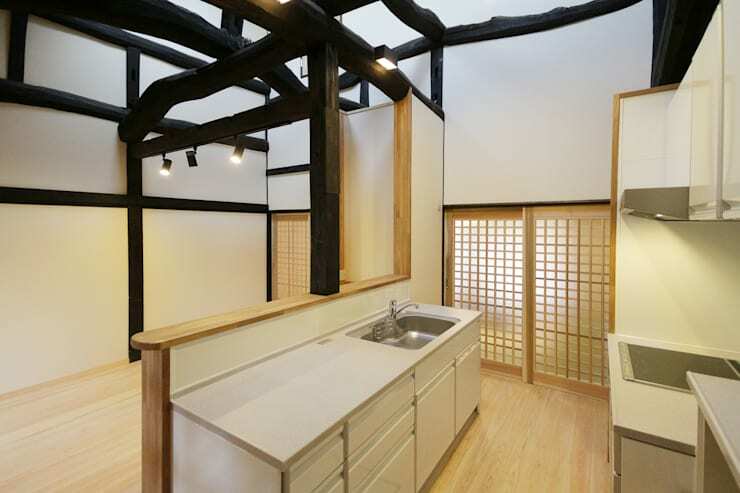 Simple lines play a huge role in this exceptional Japanese-style kitchen. It follows a soft, neutral color trend. Everything has been designed in this stylish kitchen using clean finishes with no fussy details incorporating a stainless steel sink, white cabinets and counter-top. 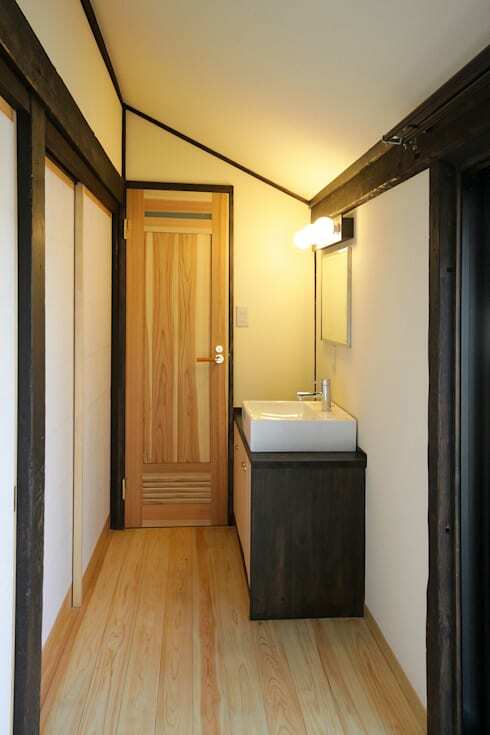 The beauty of this gorgeous Japanese bathroom doesn't just lie in its simplicity and minimalism but also in its soft wooden tones featured in the design. The sink lies on an elegant wood cabinet sitting above the floor, making the space feel bigger. The compact fluorescent lighting around the mirror provides functional and ambient lighting for the floating mirror.